In our time, the training institutes of the MOE is quite promising and prestigious choice. Training in itself is as complicated as the flow. Its complexity lies in great passing grade, the number of applicants for one place. Because the number of educational institutions of EMERCOM of Russia is very small. Deciding to become a cadet educational institutions of the Ministry of emergency situations, the applicant will need to pass several stages: preparation for entrance tests, professional psychological selection, entrance exams. Try to do can a person between the ages of 17 to 40 years. Mandatory condition after 26 years is higher education. Also try their hand can and girls. One of the stages of entrance exams is to test physical fitness. Check in advance the regulations that you have to take, because every year they change. Typically, this standard tests the pull – UPS, one hundred meters, comprehensive strength training and cross. The main subjects that you have to take are math, Russian language, social studies, physics. In our time a form of taking is the exam. Passing points is determined annually. Go to electives, do it yourself, hire a tutor. With the passage of entrance examinations conducted professional and psychological selection. It aims to identify the correctness of the choice chosen profession. This part does not require thorough preparation. You just need to calm down and be confident. If the applicant is really serious in relation to their chosen profession and a long way to goal, with a professionally-psychological selection he will have no problems. Carefully consider your choice - are you ready for such a serious step into the future. Compare your desires and your opportunities. Educational institutions of the Ministry of Emergency Situations year after year attracts a growing number of students. This may be due to constant reports on TV and in the Newspapers, where a courageous, confident MCHS-Niki come to the aid of people in distress. By the way, some schools MSCH take not only boys but also girls. Total in Russia there are several academies and universities belonging to the Ministry of emergency situations. This Academy fire service in Moscow, University of state fire service in St. Petersburg, the institutions in Ivanovo, Vologda. Conditions of admission are determined annually by the Order "On the professional selection of candidates for study in educational institutions of EMERCOM of Russia fire-technical profile. 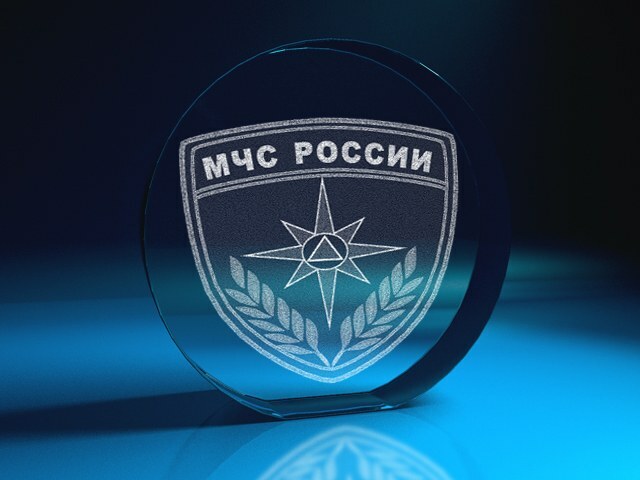 In order to become a cadet educational institutions of the Ministry of emergency situations in the first place, you need to provide the results of the Unified state exam in Russian language, mathematics, physics, social studies and physical training. The exact set of objects depends on the chosen specialty. Passing scores on each subject is determined annually, in accordance with the Order of the Ministry of education and science and the Ministry of EMERCOM of Russia. Together with the results of the exam to the admissions office of the institution applicants must provide a standard set of documents. This is a copy of the passport, the document on education (original or notarized copy), military ID or registration certificate, application for admission, application form, six photos size 3x4 cm. And also the certificate on passage of medical examination, without which it will not allow to passing the standards. In the presence of the admissions Committee will need to take the exam for physical training. It includes sprint, pull-UPS, cross and integrated strength exercises. If the entrant enters in the correspondence Department, regulations to take from him will not require. - To enroll in education institutions of MOE, starting with the 17. Upper age limit – 40 years, taking into account that the person already have one higher education. Candidates for admission must attend the psychological interview, where they revealed their personal qualities and suitability for this study. To enroll for service in MESshould meet a wide range of stated requirements. Because this is a very responsible and serious job, selection among candidates is also carried out very carefully. Check that you meet the requirements for admission to the service in MOE. You must be of legal age, be fluent in language and have completed professional education.To the staff of the MOE as a public servant to meet a number of additional requirements. They should be fully capable, not have citizenship of another state, as well as preventing serious diseases. In addition, admission to the service will need a waiver for the submission of information about the property and income – tax entities.Don't forget that according to the legislation, the state service cannot implement close relatives if one of them is subordinate to another. Provide a package of necessary documents: application, passport, employment record book, confirming the formation of a document, a certificate from the tax Inspectorate on the provision of information about income, insurance certificate, the conclusion about the health status and the document of the military account. Wait on the results of verification of the submitted documents. You will be informed in writing on admission to a service or a refusal. Enclose employment contract, if able to enter service in MOE. About how to do this, you will be informed. To participate in the contest, you must meet certain requirements: to have a sufficient level of education, experience and experience, know the necessary laws for the implementation of the duties in the position you intend to take. Test results you will be notified in writing, not later than one month from the date of their graduation. 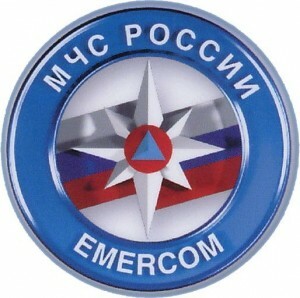 Academy of civil defence EMERCOM of Russia – the main educational institution in the country engaged in training of specialists and managers in the field of civil defense, prevention and liquidation of struggle against consequences of emergency situations. The Academy has several departments in various fields. As higher education institutions the Academy was established in 1992, but its history begins much earlier: in 1933 was founded the Executive training program of the air defense, which eventually became the Academy of civil protection Ministry of emergency situations. It is here that higher education received such famous people as the current Minister of defense Sergei Shoigu and hero of the Russian Federation Vladimir Legoshin. Students of the Academy 11 times participated in the parade dedicated to the anniversary of the great Patriotic War, demonstrating the highest level of combat training. The main objective of the Academy is training of specialists for work in the Ministry of emergency situations, training of professional teachers in the field of civil defense, and scientific research both applied and fundamental nature. In total, the Academy includes two institutes, seven departments, approximately thirty departments and eight centers. Today at the Academy of the Ministry of emergency situations prepares specialists in various areas at the following departments: management, command and engineering, engineering, Humanities and the faculty for training foreign specialists. In addition, admission officers and civilian staff in the correspondence Department, and from September 2014 will open the faculty of fire safety. In the framework of pre-University education at the Academy since 2013, it operates a training center for the training of cadet, which are students since the 10th grade. Applicants should note that the Academy provides training to both military and civilian personnel. For example, at the command-engineering faculty trains specialists for the army, so the cadets are trained there. Similar situation with the faculty management team. On "foreign" faculty are accepted in the military, serving in the armed forces of the countries of the Commonwealth of independent States (CIS). Every faculty offers training in several specialties, with the exception of the faculty management team, training of masters only in the specialty "Management of military units". At the command-engineering and engineering students can choose one of four professions, and the Humanities – one of six, including "Pedagogy" or "Advertising and public relations". Advice 6 : Where to study. Firefighter – specialist, responding to fires of different severity and localization. The profession of fire is characterized by a high degree of risk and is in the top ten on this basis. 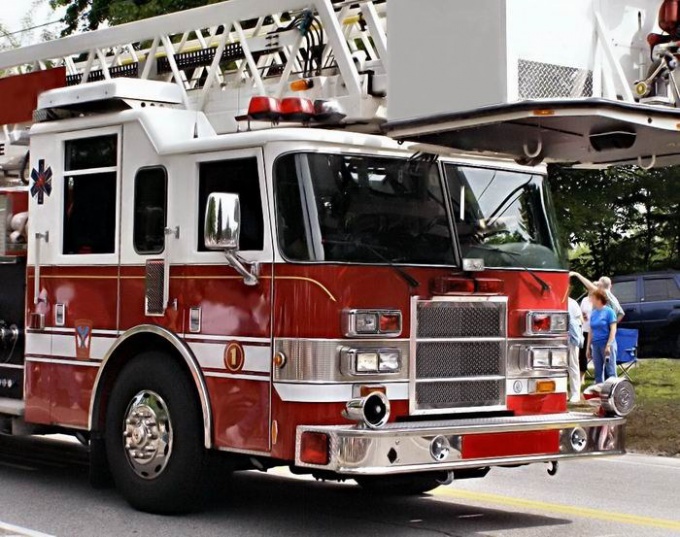 The fire Department employs people of different professions with different training level. Fire protection engineers are preparing in the Academies of the Ministry. Such higher educational institutions in Russia 13. Rank and file firefighters are trained in fire and rescue colleges, where special attention is paid to physical training. In addition, future firefighters, a lot of studies are carried out with specialized fire equipment with which they have to work on duty. Doing fire tactics and technique, there are social and humanitarian disciplines. The best in the country – Novosibirsk school. A graduate of fire school goes to the rank of Lieutenant of internal service. In addition, training in the specialty "fire safety" you can go to the following universities: Ural Federal University named after. the first President of Russia B. N. Yeltsin, Ural state mining University, Magnitogorsk state technical University. G. I. Nosova, Ural state forest engineering University, etc. After the end of a specialized fire Department receives the rank of Lieutenant. However, in the ranks of the firefighters can get people who do not have specialized education. Welcome guys serving in the army. But the fire, having only a secondary education, deprived of the opportunity to enter the officers to move up the career ladder. Become an expert of the fire service in the presence of secondary education is possible after graduating from 2-3-month course. They gain knowledge about the basics of mountaineering – because fire often working at height. To enter the fire should be people who are in good physical health. For reviews of experienced specialists healthier fire service fire only astronaut and pilot. The job of a firefighter is not only to exit on the burning objects. Between visits, there are constant training, developed plans for fighting fires and so Fire must be strong and sturdy. To work in the firehouse will have to undergo one medical examination, and perform a variety of psychological tests. During training a firefighter receives knowledge and skills necessary for providing psychological and medical care. Give artificial respiration or CPR will be able to any person connected with the life with such a difficult, but noble work. 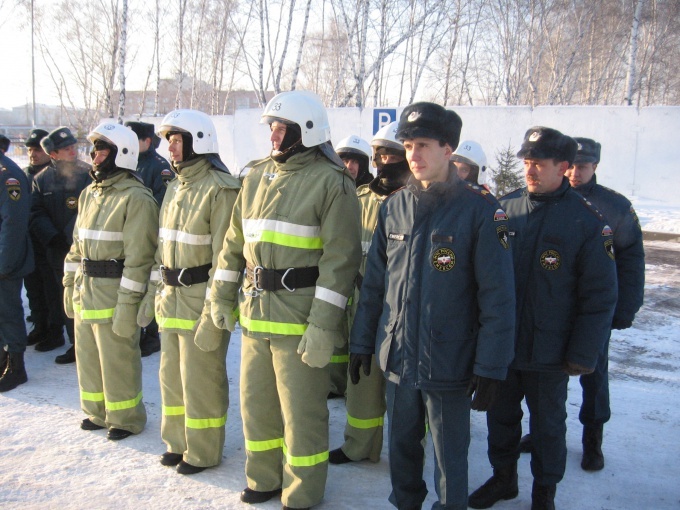 The salary of a firefighter is on average 30 thousand rubles. However, it depends on many factors: experience, rank, etc. 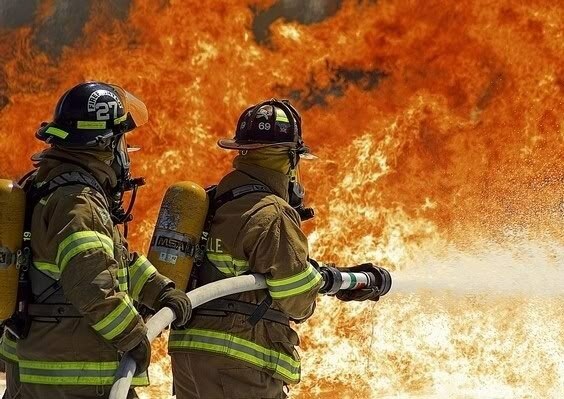 the average firefighter works to 45 years. Then it decides the fate of the leadership.